Night time can be a scary time for a little child. Everything is so dark and it becomes hard to see. Insecurities start to surface and your little one starts insisting that she shadows your every move so that she is not left alone. I have had a night light for the boys in their room since they were 3 years old .With a night light in the room their fears of the dark can be allay as the room is not pitch dark. It also makes it easy for them to see when they need to leave the room to visit the toilet at night without waking each other up by switching on the light. Now that Tiger girl is 3 , going on 4 I am in the process of moving her into her own room. She too would require her own night light for her own room. It was time to go night light shopping!! The presenter introducing the various nightlights to us. Last month Tiger girl and I attend the launch of Philips new range of Disney inspired night lights. It was our first Slumber party invitation. We were bowled over by the cuteness of the lights. Tiger girl was attracted to their SoftPal lights as they look so fuzzy and cuddly. Made of silicon the BPA free lights are safe and soft to touch. It doesn’t even feel hot after having it lit up and in your hands for more then 10 minutes. The SoftPal lights look so inviting even when they are not lit. Don’t you think so? Tiger girl was all smiles when she saw this package which was delivered last week. 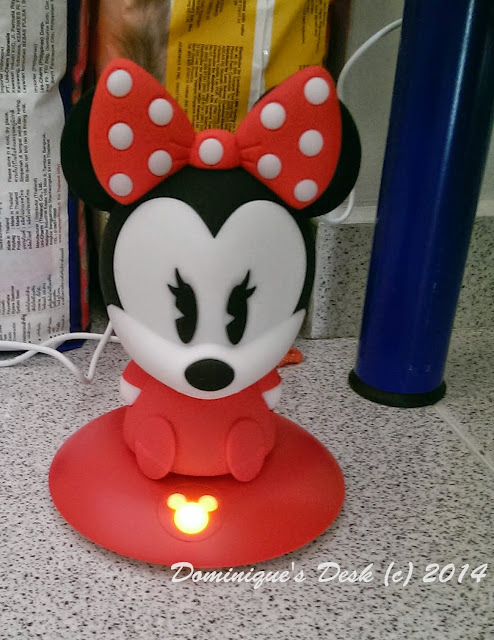 A Minnie Mouse SoftPal Light. Priced at $72.90 this was the night light she was eyeing since she spotted it at the product launch. Being a big Disney fan she is well versed with the characters from the shows shown on the channel Disney Junior. Mickey Mouse clubhouse and Jake and the Neverland Pirates are among her favourite cartoons. After un-boxing the night light I had it charged so that Tiger girl could start using it that night. It was really easy to get it charged and Tiger girl could do it herself. All she had to do was to switch on the plug and press the button on the base and the night light would start charging. Tiger girl, at three years old, is still far from sleeping independently. She needs me to put her to bed and if given the chance would rather sleep in my bed then hers. With Minnie mouse as her new bed pal she was more eager to start on our nightly bedtime routine . She couldn’t wait to get into bed and read her bedtime story. As expected she chose her favourite book on Sofia the Princess for me to read to her before she fell asleep. With Minnie beside her she feels safe and has been sleeping through the night better. Disclaimer: Products for review were provided by Philips. The opinions expressed herein are those of the author and are not indicative of the opinions of Philips . Those are really cute. My kids still prefer my bed to theirs so I am hoping that the cute lights will help her stay in her bed for you. Those are really neat! I bet my boys would like something like that. They are so cute!!! It’s a good small ambience light that create some warm and comfortable mood in the room! I think it’s more like a collectible than a lamp. Haha. Those are adorable! I need to check Amazon for them. These are so cute. I bet my youngest son would like to have something like this for his room. So far he doesn’t have any issues sleeping in the dark but I sense that day will happen sooner than later. The mickey and minnie mouse are really cute. I know my son will ask me to buy one for him once he will see this in the mall. 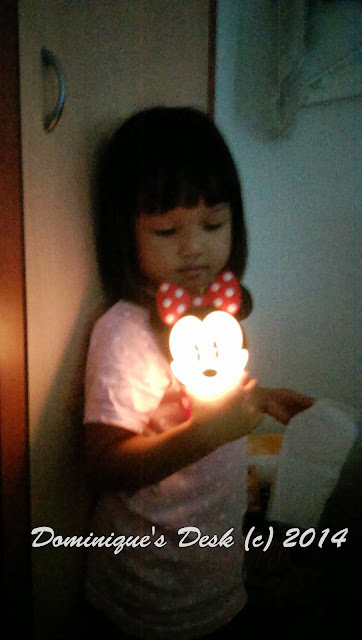 Wow, that Minnie Mouse lamp is so cute. Tiger girl is so cute too. She must have love her lamp. I remembered my night lamp years ago. It wasn’t like this but it wasn’t ordinary too. Tiger girl is really growing up fast! 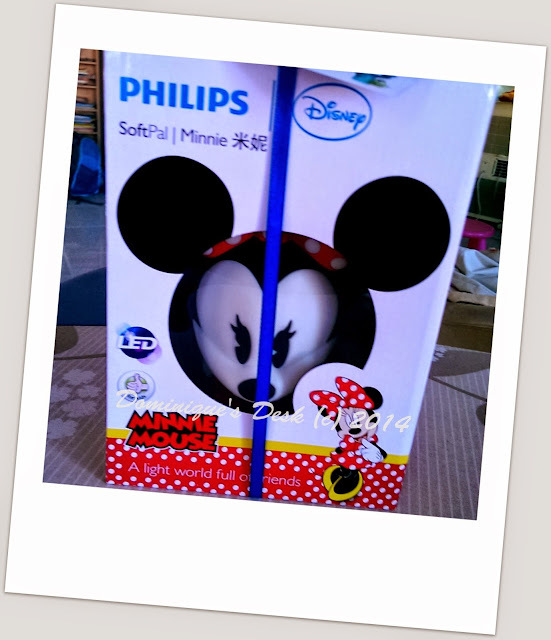 And the Minnie Mouse soft pal is also so cute! I know these are safe products!